Just 5 min west of I-95, Exit 215 on Hwy 50. We are 45min. or less from all major attractions. Open daily 9:00am - 5:30pm. We offer one hour rides starting at 9:30am. Night Rides Available By Reservations Only. "Not just a great ride but a great experience!" for a printable group discount. 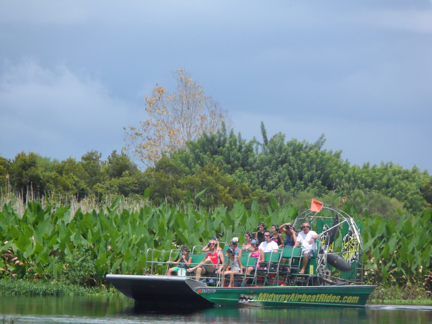 At Midway, we offer the BEST ride in the Orlando and Space Coast area, not on a lake but a real swamp - Central Florida's Everglades - See the Florida outback, a natural paradise teeming with wildlife and native vegetation along the meandering St.John's River. 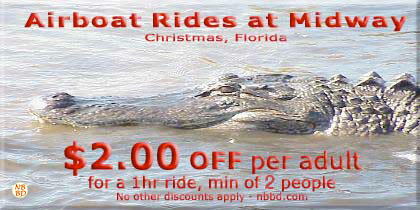 Each ride is unique with opportunities to see alligators, bald eagles, otters, wading birds, and much more. 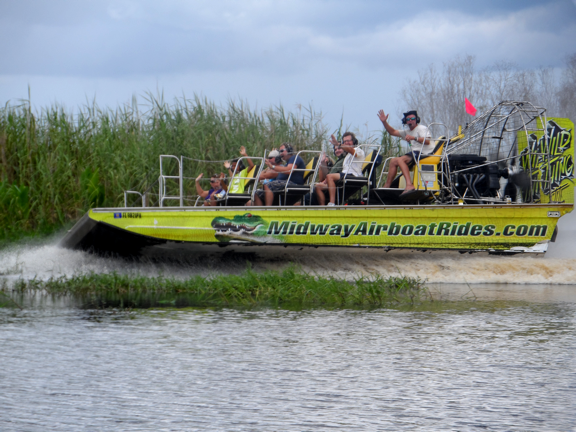 Combine the beauty of nature with the thrill of an awesome AirBoat Ride at MidWay. 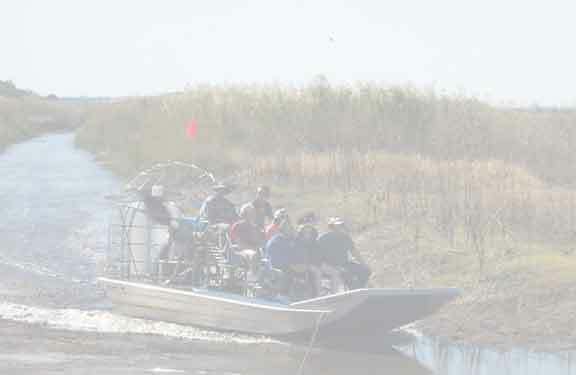 Old fashioned airboat rides on MODERN BOATS with stadium seating and voice activated headsets. Eco tours for individuals and groups. 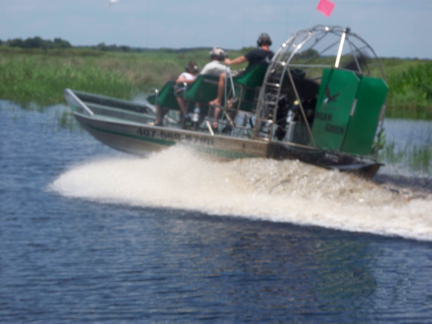 Central Florida's oldest airboat ride company ... in the same location since the mid-30's. 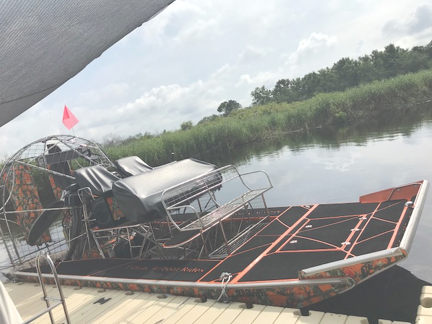 We are the "only" Orange County (Orlando) airboat ride with a permanent facility. You don't have to meet us in a parking lot or on the side of the road. We are located at 28501 E. Colonial Drive (Hwy. 50), Christmas, FL (East Orlando area). Rest rooms, gift shop, snacks, drinks, and an exotic bird and reptile display. Check out Baby, our 11 ft. Burmese Python and Pork Chop, our friendly pig. Be sure to say hello to Pecos, our parrot, who may be conversing with himself, his exotic feathered friends or maybe with you. 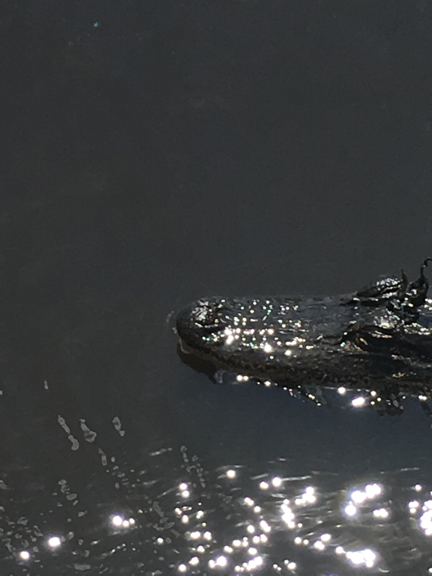 Our baby gator has his picture taken so often, we call him "Hollywood."